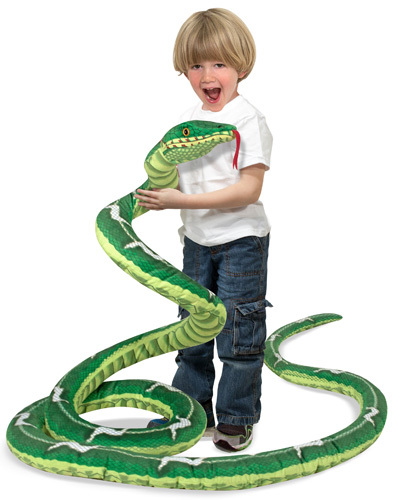 Sure, a 14-foot snake might seem like an odd choice of gift, but it’s amazing how much kids really do love it. And he’s no ordinary snake; this guy is sssssuper sssssnuggly. Available at neighbourhoodtoystores.ca, cooltoysfortots.ca and melissaanddoug.com.